Björn Dahlström was born in 1957 in Stockholm, Sweden. He started his career in the late 70ies working with animated film. In 1978 he became Art Director and graphic designer for an advertising agency based in Stockholm. In 1982 he founded his own studio and focused on graphics, working for well-known companies like Ericsson, Scania and Atlas Copco. Nowadays, he is involved in a bunch of different projects; his operating range spans from industrial design to furniture, toys, exhibition design and graphics. 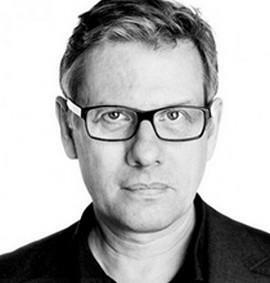 He creates design for companies like the Finnish kitchenware producer Iittala, Italian Magis, the Swedish furniture producer Offecct, electric appliance producer Krups and many others. After teaching at the Beckmans school of design, he achieved a professorship at the University College of Art Crafts and Design in Stockholm. He has been awarded numerous appreciations and prizes, like the Excellent Swedish Design Award. Further, his work is represented in museums like the Victoria and Albert Museum in London, Stedelijk Museum of Modern Art in Amsterdam and the National Museum of Fine Arts in Stockholm.